Apple just took a big step toward upping its chip-making game, and took a big swipe at Samsung in the process. According to the Wall Street Journal, Cupertino's hired away Jim Mergard, a well respected and vastly experienced engineer, from the Korean company. The move is a big deal for a few reasons. First, it signifies Apple's commitment to designing its own chips. Its A6 chip in the iPhone 5 was its first chip to use its own custom core. While Apple had been using chips customized for its products (the A4, A5, A5X, etc. ), those were built on ARM's architecture—the Cortex-A8 and A9. In simple terms, Apple had been just tweaking things here and there with the blueprints, but with the A6, it built the chip design from the ground up using just ARM's reference designs, not its ready-made cores. 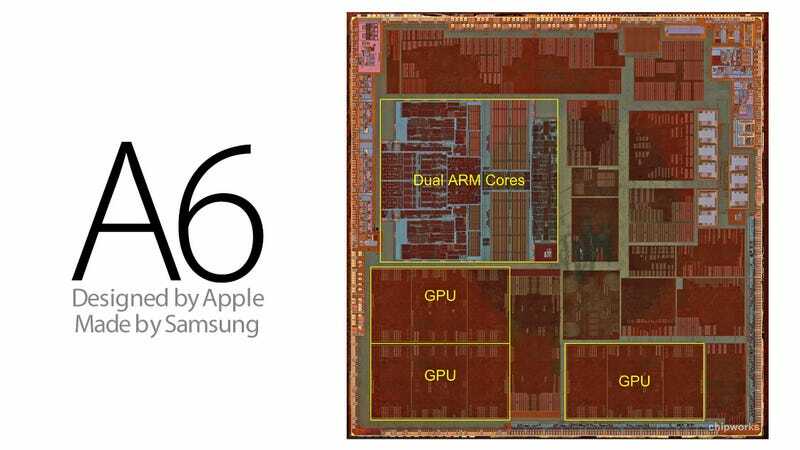 That is a very big deal in the world of chip design, and it's what let Apple boost the A6's performance and battery life at once. How does Mergard fit into that? His experience includes work on SoC chips, and an AMD chip that was meant to power low end PCs. That could mean a few things. The Journal cites Patrick Moorhead saying this could be Apple moving to build SoC chips into its Mac computers (the MacBook Air would make the most sense there, probably). Or, the hire could be to bolster improvements to the custom core Apple built for the A6, to keep it ahead of everyone else. Everyone else including Samsung. While you chase down talent wherever you can find it, Apple also probably took at least a little special pleasure in hiring away a talented engineer from Samsung. Especially after Samsung declared that chip design is something it wants to focus on.